Fujifilm USA has announced the launch of its new ultra compact and high performance digital camera – Finepix Z200fd Glam-Cam, the 10-megapixel super-slim camera with 20mm super flat body and sliding lens shield, including Fujifilm’s new Couple Timer Mode and Group Timer Mode that take advantage of Face Detection technology. Couple Timer Mode detects two faces in a frame and will automatically capture the photo as the two faces come closer together. This mode has three settings including Near, Close-up and Super-Close so users can set the timer to detect faces at specific distances, depending on how close you really are! 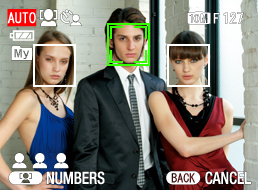 Group Timer Mode automatically sets the timer to take the picture when up to four faces have been detected in the frame. Users can simply select the number of faces in the frame, and then jump in front of the camera to pose with the group – ensuring that you appear in the stunning shots you take with the Z200fd. 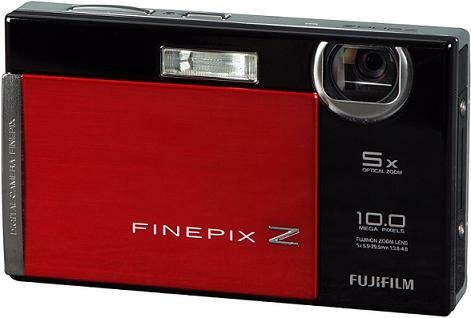 The new FinePix Z200fd digital camera that available in black, silver, red, and pink color will ship in coming September for about $300. © 2005 - 2019 My Digital Life. All Rights Reserved.